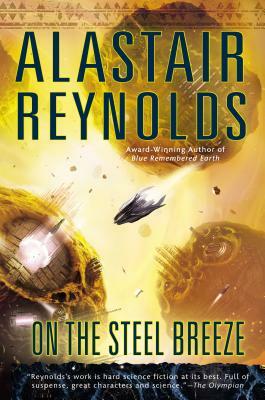 Alastair Reynolds was born in Wales in 1966. He has a PhD in astronomy. From 1991 to 2007, he lived in the Netherlands, where he was employed by the European Space Agency as an astrophysicist. He is now a full-time writer and lives in South Wales with his wife, Josette. He is the author of several novels including"Revelation Space," "Redemption Ark," "Absolution Gap," "Chasm City," "The Prefect," "Terminal World," and "Blue Remembered Earth.""